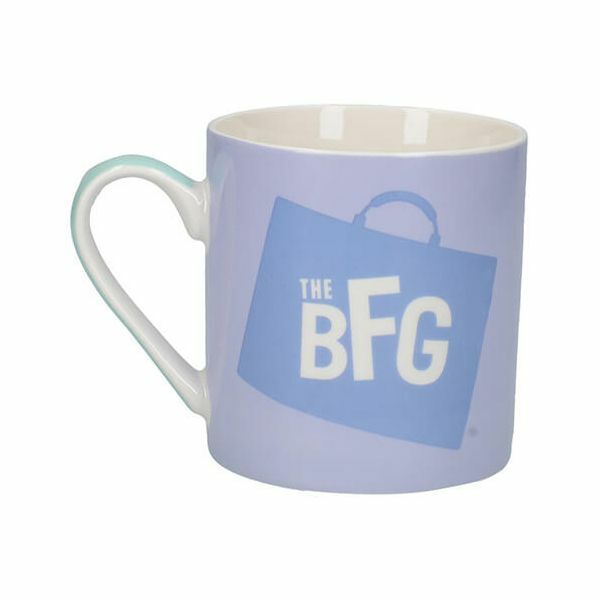 This pretty mug is ideal for serving tea and coffee and features Sophie and the BFG exploring the magical giant country together. 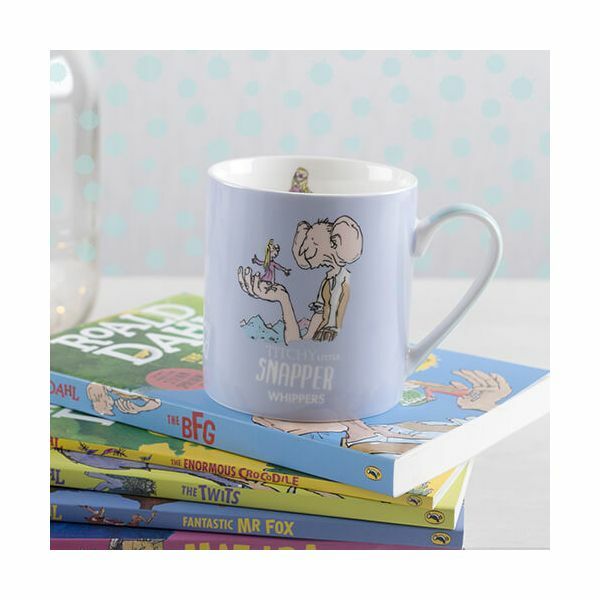 Made from fine bone china this illustrated story is based on a periwinkle purple. 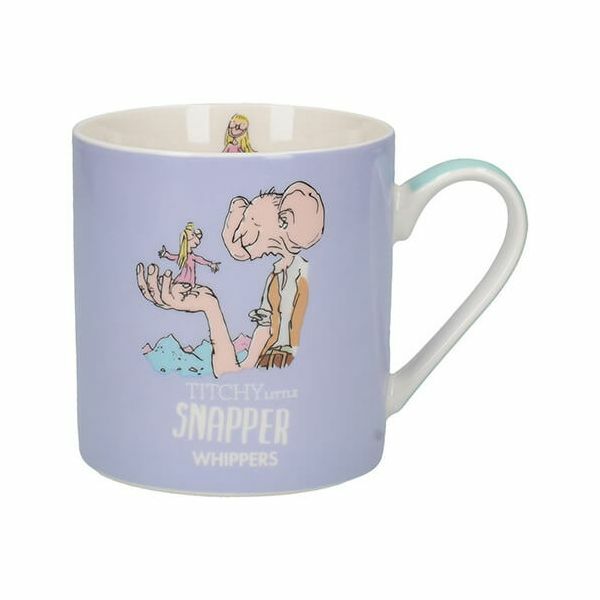 Illustrations appear inside and outside the mug including the base with the words 'Titchy Little Snapper Whippers' on the side.